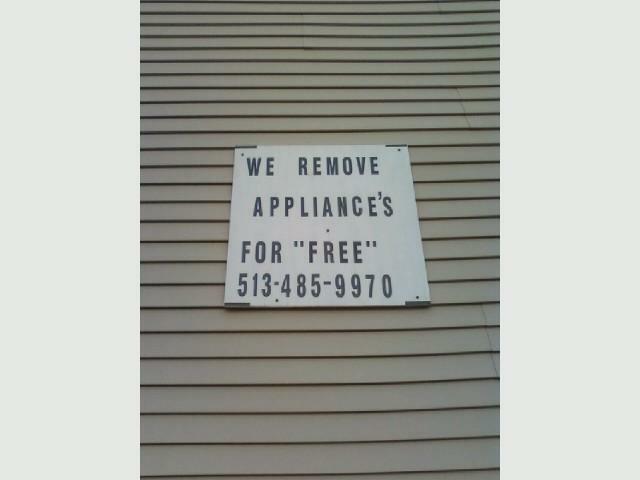 The “Blog” of “Unnecessary” Quotation Marks: for "free" you say? 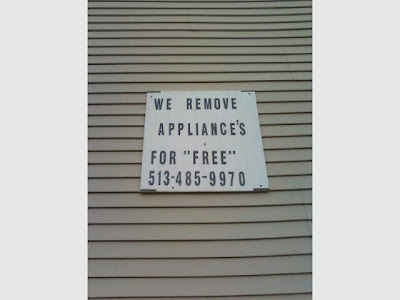 Yeah, if you don't pay later you get the appliance on your lawn, for "free." Thanks, Amy. You do not have to be home. You don't even need to unlock your door. We may even remove other objects for "free". They don't remove the entire appliance, just some part of it. The sign says "appliance's" so i'm guessing they merely yank the power cord off, or some such.